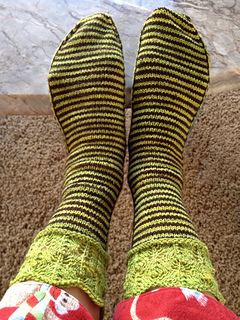 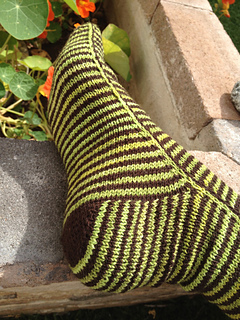 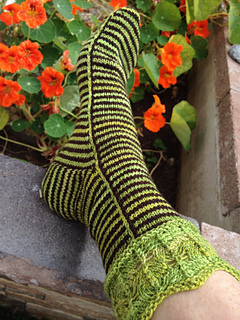 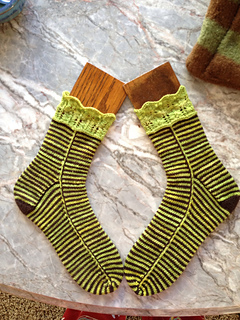 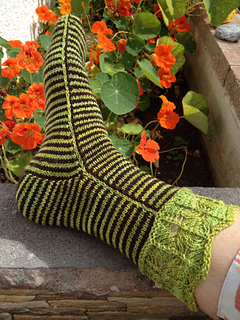 My Laurelhurst variation, with horizontally-striped heel. 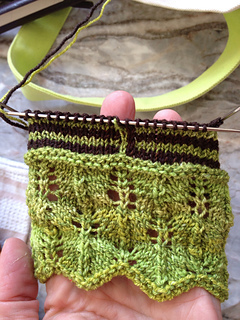 Although is is quite a simple pattern, I set it up in KnitCompanion (iOS) so I could easily keep track of the different sections. 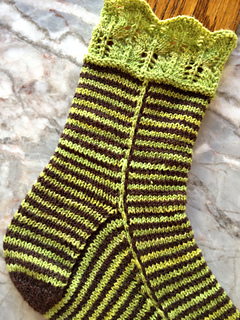 It really made the lace pattern a breeze, too, since I never had to figure out where I was! 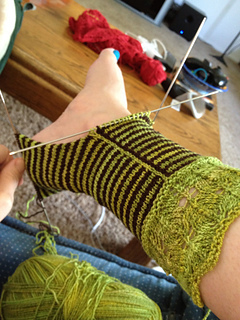 That gives your slipped stitch the height it needs to span the two rows of the other color. 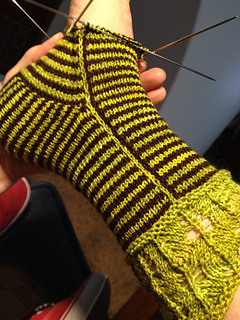 Heel -- 2-row horizontal stripes, 34 rows.